As the basis of success within your project depends on the involvement of stakeholders, it is worthwhile to truly tailor your communication approach to ensure ideal understanding and outcomes are achieved. Effective communication inspires action and commitment and drives better program outcomes. Stakeholder communication can be complex, but performing thorough stakeholder evaluations upfront will aid in your ability to use personalized interaction to address individual interests and complications. Identifying your primary, secondary, and key target audience is critical to the success of any initiative. Understanding the current relationship of individuals in relation to the project is a key place to start. By recognizing those who will be both directly and indirectly affected by the implemented changes will allow you to begin to tailor your approach to communicating. Consider what all needs to be accomplished and who will be accountable for each milestone along the way. Also look to previous projects to identify stakeholders likely to be involved for a particular project type or a particular client. What is this person perspective? What level of influence do they have over decisions and actions? What does this person need to know about this initiative in order to perform their role effectively? How will each stakeholder/group influence one another? What will it take to make this stakeholder a supporter of this initiative? This will allow you to interact more effectively with stakeholders and to increase support for any given program. When this initial analysis is conducted properly, any potential misunderstandings and opposition from stakeholders can be detected early in your initiative which allows the proper time to reconcile and address any concerns. Potential obstacles to implementation and reaching results can be avoided. Moving forward communication strategies may then be tailored for each stakeholder to address the identified concerns. Focus should be place on the highest priority groups, or key individuals driving the initiative, while providing sufficient information to keep the less influential groups satisfied. This will help to balance and reconcile all apprehension according to importance or urgency. 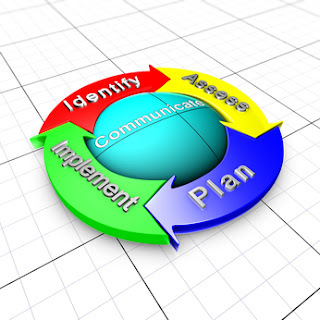 Both stakeholder analysis and development of a communication approach should be reoccurring processes conducted throughout the program initiative. In order to truly be effective in your communication with each stakeholder, requirements should be framed based on the perspective of their operation. It is important to remember these requirements may change throughout the initiative and as such their communication requirements should be adjusted accordingly.